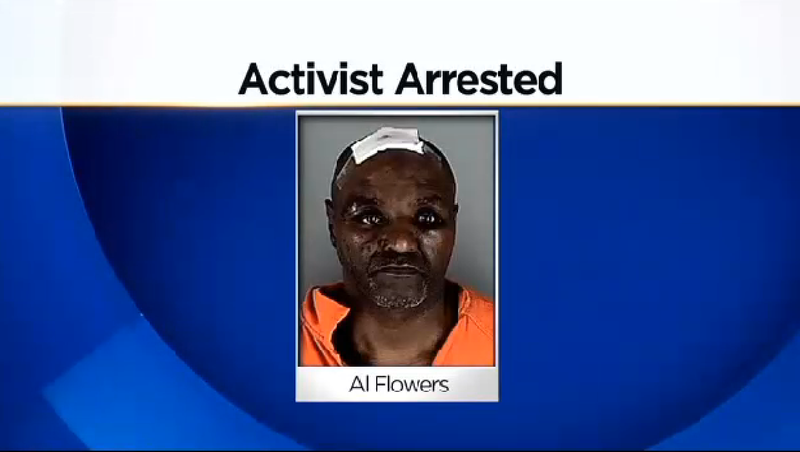 MINNEAPOLIS - Al Flowers, a community activist, alleges he was punched 30 to 40 times by Minneapolis police officers during an arrest at his home over the weekend, reports CBS Minnesota. Flowers was arrested on charges of assaulting an officer after an altercation with police in his home, according to the station. "I've got grandkids and I felt like I did not know if I was going to see them," Flowers told the station. "All I felt was punches," he continued. "Over 30 to 40 times, I mean, just successive punches." The community activist and former mayoral candidate says he did nothing wrong. "I don't know what happened that night," he said. "I did everything I was supposed to do right. And I still end up with staples in my head, stitches in my eye and my ribs... I don't know what's going on." Flowers says the officers came to his home Saturday evening saying they had a warrant for a teenager who lives there. When Flowers asked to see a copy of the arrest warrant, he says officers responded with violence. "I was stomped, stomped in my back and kicked. The first two officers did the majority of what's up top because they were the ones choking me," Flowers said. But Minneapolis police say there's more to the story. At a news conference Sunday, Minneapolis Police Chief Janee Harteau asked the public to be patient while the incident is investigated. In a statement, Chief Harteau said the entire department is frustrated because they cannot comment as this case moves through the legal process, reports the station. They're asking the public to withhold judgment.